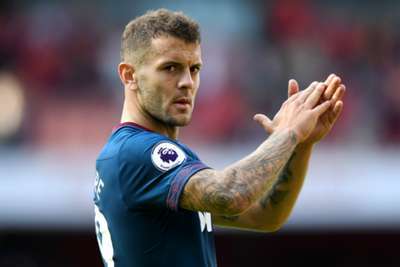 Jack Wilshere said he would not have joined West Ham had it not been for the departure of Arsene Wenger from Arsenal, claiming his former manager would have ensured his place in the Gunners' first team. The 26-year-old midfielder joined West Ham on a three-year deal in July, ending his 17-year association with Arsenal in the aftermath of Wenger's departure. Wilshere said Unai Emery's arrival as head coach altered his prospects in north London and convinced him it was time for a change. "If Arsene had stayed I would have stayed because of the influence he had in my career and the trust he had in me," Wilshere told the Islington Gazette. "He gave me the armband and respected me a lot. So, I had pretty much agreed to stay. And then he left and that changed things. "Arsene had said to me previously 'stay and fight your way back into the team'. Because I knew Arsene and knew he had trust in me, I knew I could do that and fight my way into the team. "I knew that if I got myself fit and was training well that Arsene would put me in – and he did. "But things were changing at the club and they were going into a new era and maybe it was time for me to leave as well." Wilshere, who won the last of his 34 England caps at Euro 2016, has had the start of his West Ham career hampered by an ankle injury. He has made four Premier League appearances for the Hammers under Manuel Pellegrini, the last coming on September 1.